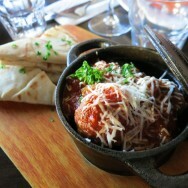 Loved this place – generous portions without sacrificing flavour. Friendly owner too. 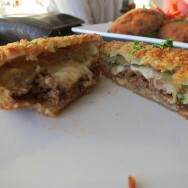 Mini Moussaka Sensations: fresh chargrilled eggplant topped with braised Canterbury Angus mince and creamy béchamel, encased in crunchy bread crumbs and flash fried in a rich canola blend. 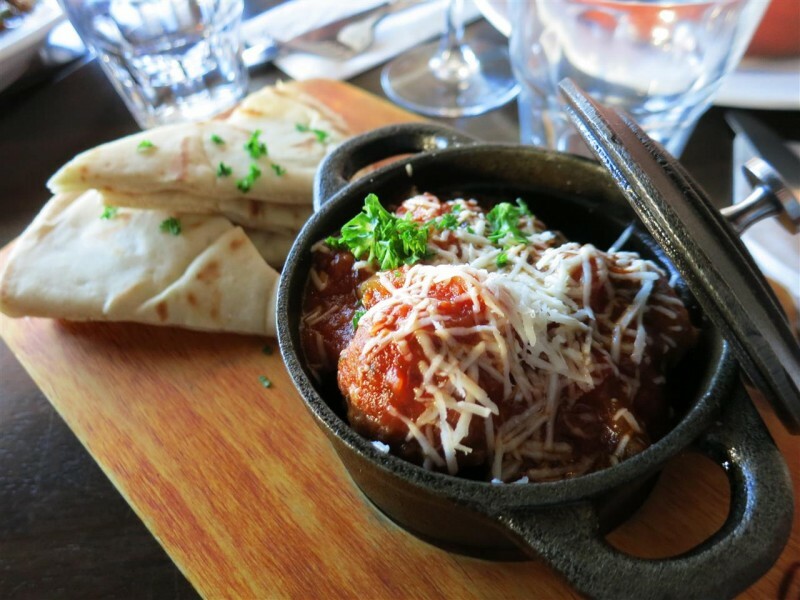 Mediterranean Meatballs: fork-tender marinated meatballs, oven baked and finished in a rich tomato, onion and red wine sauce, topped with melted Kefalograviera cheese and toasted village pita bread. 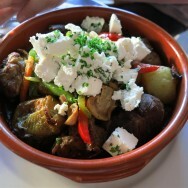 Village Style Kleftiko: masterpiece of slow cooked Canterbury lamb, grilled Mediterranean vegetables and thick cut agria potatoes, baked in Costas flavour packed herb sauce, and topped with crumbled feta cheese, served the 200 year old traditional way, in a Greek clay pot. 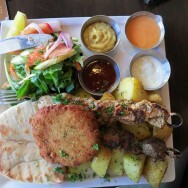 Souvlaki Platter: Char grilled lamb and chicken, falafel, toasted village pita bread, garden salad, hummus, sweet tomato sauce, roast capsicum mayonnaise and tzatziki. 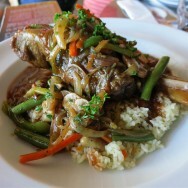 Legendary Lamb Shanks: slide-off-the-bone lamb shanks braised in fresh garlic, tomato and red wine sauce, served over fragrant jasmine rice and a medley of fire roasted Mediterranean vegetables. 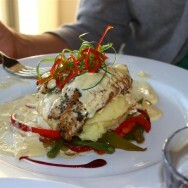 The Fisherman’s Catch: fresh-off-the-boat, fish of the day, lightly pan fried and served with fire roasted Mediterranean vegetables and garlic ‘n olive oil crushed potatoes, finished with rich roast lemon cream sauce. 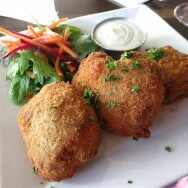 Smoked chicken in a creamy Cajun sauce, finished with diced capsicum.